There are over one billion musicians on the web trying to climb over your dead body to their own success. But there is one simple 5 minute change you will learn that makes all competition a thing of the past. You and only you, stand on top of the mountain. Does it make you a little curious (not in a good kind of curious way) when you see something like this? If all it takes to go from the starting line to the finish line is 2 simple steps or signing up for a newsletter, then we all live in Bizarro-World because it’s not real. *By the way, Bizarro-World is a place in DC Comics where Superman nemesis Bizarro lives; he is the polar opposite of the Man Of Steel in every way. My previous Seinfeld references also allude to the Bizzaro-Jerry episode. You don’t have to be a nerd like me to know the reference but it’s important for the analogy. Here’s the deal: Process is how real things take place in the real world. Man, do I sound like my dad saying that? I’m sorry, it was not intended to come out that way. However, it’s still true. Anyone claiming to lead you to change and growth that doesn’t involve a degree of process is selling you a bill of goods, or in actual terms, selling you a bunch of crap. Hey, I’ll be honest with you that I’ve bought into the Magic Wand lie too, to my own detriment. I’ve seen the ads and bought the lines hoping to have a transformation take place in an instant to alleviate the problems or obstacles in my path. This actually is what caused many delays in my success and growth. I’ve also made mistakes in following the wrong people in hopes of overcoming these obstacles or finding success. I’ve tried to partner with well-meaning folks who had built businesses from the ground up in a completely different industry, believing that some keys in business can be replicated in any industry (which is true, but you do need more than just the fundamental business stuff to make it work). The results that buying into these supposed magic beans (or wands) were loss of time, more questions, and dead ends. 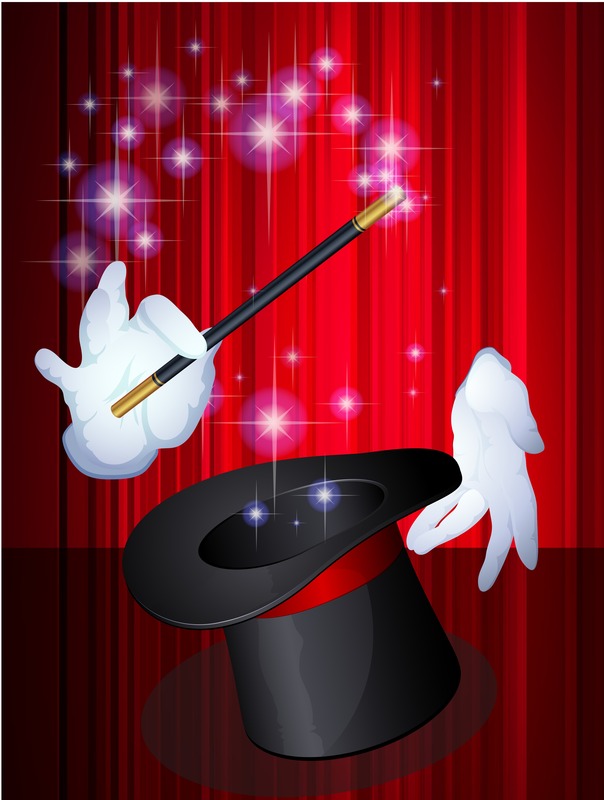 What is the Magic Wand Myth? It’s a promise or pitch that “All You Need” is a hope, a dream, and very little work on your part to achieve your goals. And it’s not true. Who do you know who has achieved greatness that didn’t require risk, failure, and lots of work? Farming and gardening are great examples of process that requires dedication, commitment, and process. So is invention and the art of innovation. Can you say Thomas Edison wasn’t a genius? How many attempts at the light bulb were made until he figured it out? That’s commitment and process in a very big picture sense. As an artist and creator, you’re trying to make impacting experiences for people that lead to them buying into your magic (no wand required). The “buying in” part of that is them literally spending money, time, and energy on you. It’s a relationship you’re having, even if the interaction is different than most of your relationships. How long does it take to foster relationships? What about relationships that lead to transactions of money and time? The answers depend on different factors but few (if any) every happen in an instant. This is true for your work as a musician, entrepreneur, and creator. It’s true for your audience growth and it’s true for gaining media coverage like radio and blogs. An email that only says “I’m a musician; listen to me; hear my new song; my songs rule” doesn’t create connection. There’s no magic here. Instead, be relational. Think of achieving the goals you have like planting a seed. Nurture it, cultivate the connection. Give and take, and offer the other parties involved something that benefits them. Commit some of your time and energy into building connection and see magic take place. For musicians, take this principle and apply it to your music with The Indie Radio Promotion Course. This is what I’ve done to successfully grow my enterprise, my business, and my radio program. It has all taken time, and been more than worth it. Are there individual steps to take in this process? Absolutely yes. Would you like to know what those steps are so you can have a richer, greater, and more beneficial audience? Good. Tell me below what your goals are and where you are right now in the process. Agree, wholeheartedly, and thanks for being the canary (in the coal mine). I’d LIKE to believe some of these “get rich quick” dudes sincerely believe what they’re saying and want to help. But we know the only ones getting rich in 10 easy steps are these guys who build the best “mousetrap/Trojan Horse” and get enough of us to drink the Kool-Aid. Pyramid scheme, anyone? Hard-work, working smarter (yes, it can be done), quality work, relationships, patience, persistence and blood, sweat and tears still rule. Still work. Are there some legit “short-cuts?” Sure. A few. That’s the “working smarter” part. But it’s a marathon and the real athletes know this. Thanks D Grant! Right on David, and thanks for weighing in. You know, the truly successful people in any industry keep their nose to the grindstone until they retire, which usually isn’t until they’re much older than most of the folks who claim to have the “magic wand to success.” Would we consider Michael Jordan great if he retired after winning his first NBA championship? Or what about Bill Russell? That guy had 11 championships and he is still working (not in the same capacity, but still…). Hard work, dedication, and commitment to what Nelson Mandela called “the long game” is how true success comes about.